We are so excited to have ordered a few beautiful velvet ring boxes from The Mrs. Box. Although they're not available for purchase in the shop with your engagement ring (they haven't confirmed if they will be selling to stores yet), we love how amazing the colors are. 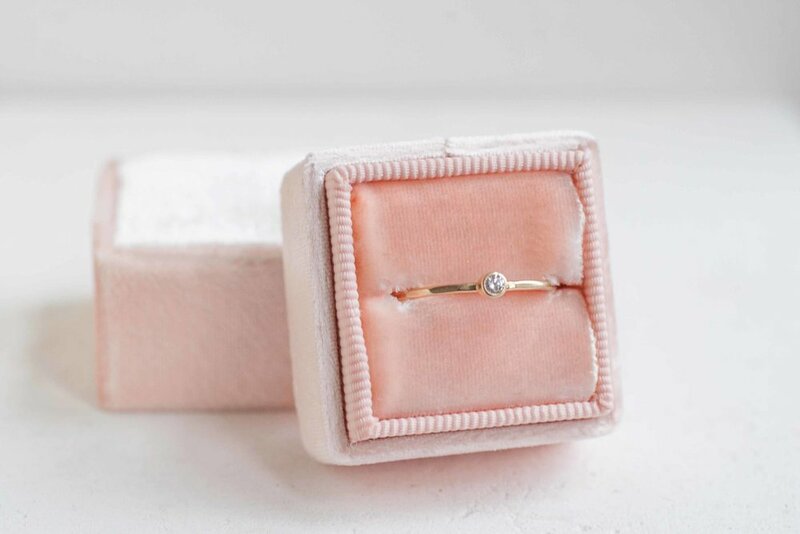 I mean, a pink velvet ring box...sign me up! 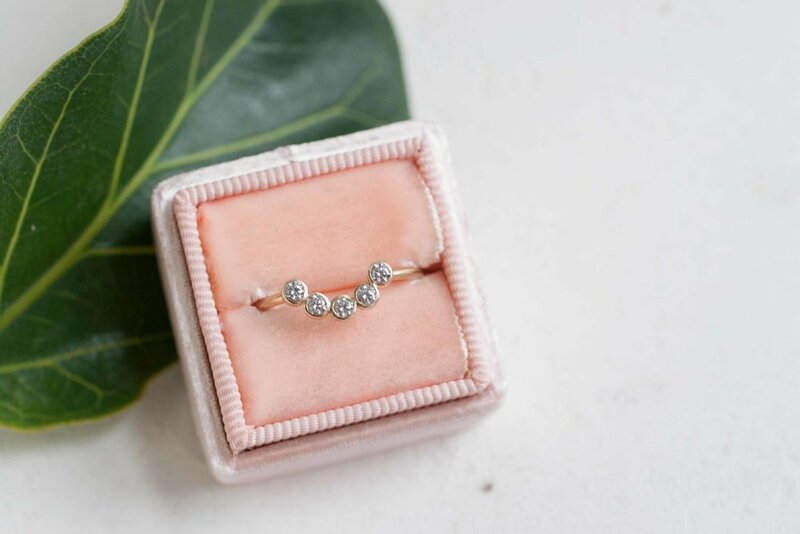 Naturally, as soon as the boxes arrived in the shop, Hayley and I ceremoniously Instagram storied the whole unwrapping process, redesigned the fine jewelry case, and started photographing our favorite rings in the new boxes. Enjoy the loveliness!